Commentaire: The book has been read, but is in excellent condition. Pages are intact and not marred by notes or highlighting. The spine remains undamaged. Commencez à lire Exploring Reincarnation sur votre Kindle en moins d'une minute. Found it difficult to follow. Very dry. Although there are already several praising reviews of this work, I thought I might add my own praise. This work has been on the market for over a decade and has had time to establish itself as a classic in its field. It is, basically, without parallel. There is nothing else that I know of which casts its net so wide. 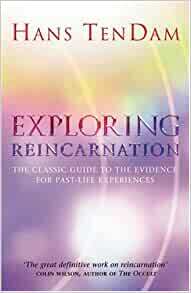 If you have become interested in past life regression studies, and are wondering how they stack up against the traditional belief systems on reincarnation, as exemplified by Buddhism, Hinduism, all the lesser known rest, and the more modern systems of Theosophy and Anthroposophy, this is not only the book for you, this is the only book for you. While Rabbi Gershom's critique here is, without doubt, rightly deserved, it should not deter you from purchasing this fine study By Hans Ten Dam. If you are beyond your introductory new age book on past lives, whatever it is, then you are ready to graduate to this. It could be bettered, but that task has not yet be attempted.